● You can get a $10 discount on any Kirugumi outfit if you hit like on the company’s Facebook page, and place a comment on their wall. ● Watch out for other coupon codes that occasionally offer discounts as high as $15 or even 10% off all items sitewide. 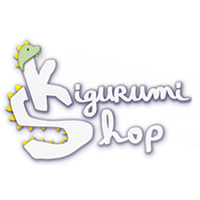 ● Kirugumi Shop has also been known to offer free shipping within the continental US on any order worth $99 or more. For orders that don’t reach the minimum spend required, a flat rate of $8 will be charged for shipping. ● The Kirugumi Shop’s Facebook page regularly features new giveaway contests every few months with prizes like free Kirugumi outfits and neck warmers. Kigurumi Shop is home to be eclectic pieces of Japanese pop culture apparel and merchandise, as well as a whole lineup of interesting adult size “onesie” pajama options amongst other things. All of the products sold directly through this online retailer come from Japanese manufacturers directly, and reflect the current state of Japanese pop culture with many of the characters that are depicted on the apparel and the pajamas. Visitors will have the opportunity to take advantage of significant deals and discounts by signing up for the “Rewards” program provided by this company, but will also be able to take advantage of exclusive promotional deals that are only published on social media or via their online email newsletter subscription service. For most up to date offers check out Kigurumi Shop on Facebook and Twitter or contact Kigurumi Shop Support for any questions.